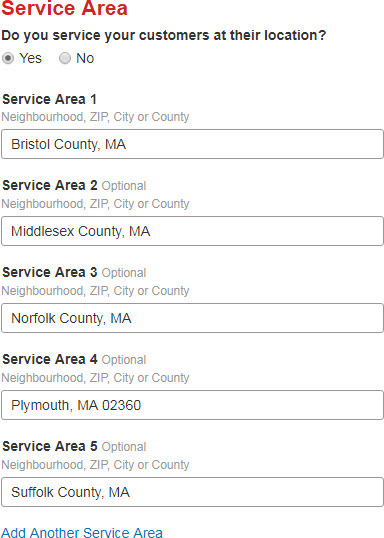 Which Local Citation Sources Let You Specify a Service Area? 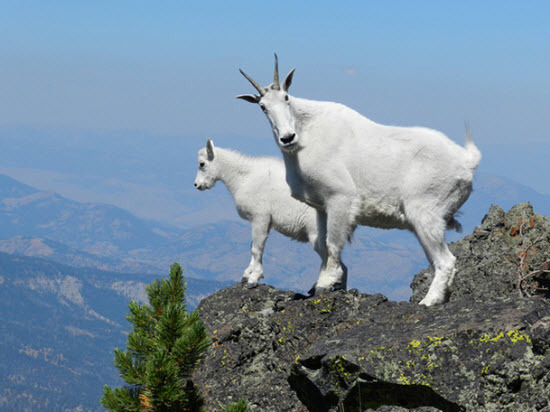 Just because you set your sights on a region doesn’t mean you’ll rank well there. That’s always been true of the service area you pick for your Google My Business page, so why should you care about the service-area settings on local-search sites much smaller than Google? 1. You might improve your visibility on those sites. Places like Yelp, YP, BBB, Angie’s List, and others have a decent headcount, partly because those directories tend to rank well in Google’s local results. 2. The service-area settings in Google My Business changed recently, and in ways that may make your info on third-party sites more important to your rankings on Google’s local map. 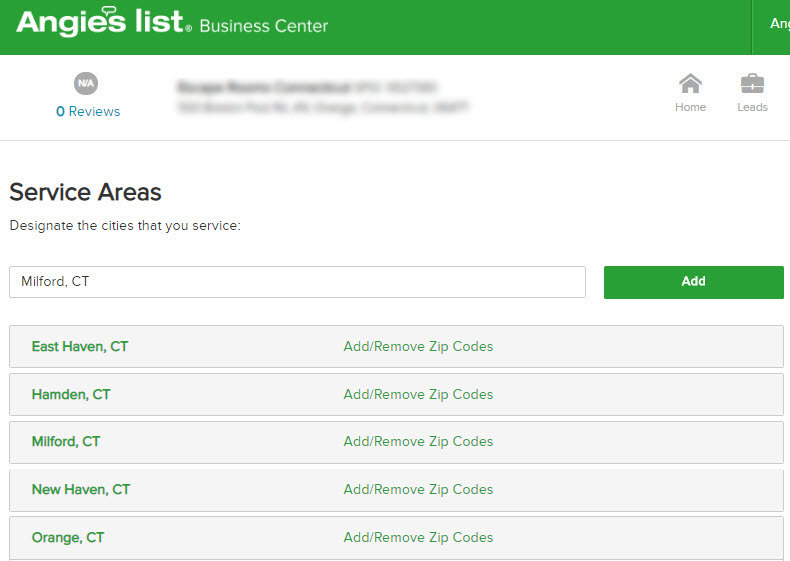 For service-area businesses you don’t need to specify a street address. The other big change is you can’t target a radius anymore (like 30 miles around your address). The main upshot of those changes is now you can tell Google you serve the entire state, or 5 counties, or a similar chunk of territory. How will Google determine how you rank within that region? I don’t know, but it’s possible Google factors in the info you’ve put on third-party local directories, so you should try to use that to your advantage. 3. Maybe you just care about the details on your local listings, but don’t want to log into every single site to check whether you can define a service area. It might help to know which local listings – besides Google My Business – let you specify a service area. I looked at about 20 of the better-known and (usually) more-important sites for service-area businesses. 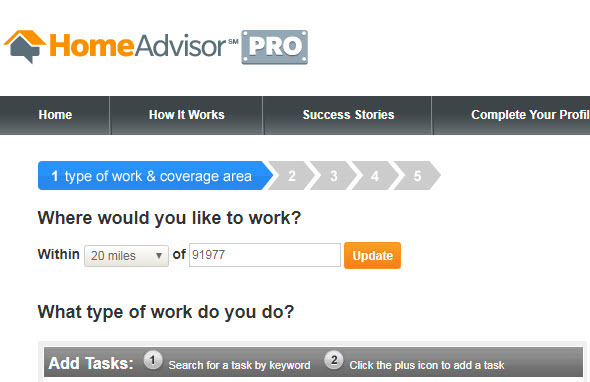 About half of them let you define your service area. Most of those sites let you choose a service area even if you’re a bricks-and-mortar business – which is also what Google My Business does now, by the way. Most of those sites also let you hide your address, if you want to. How has Google’s recent change to service-area settings tied in with your business or your strategy? How do you show your service area on your non-Google listings? 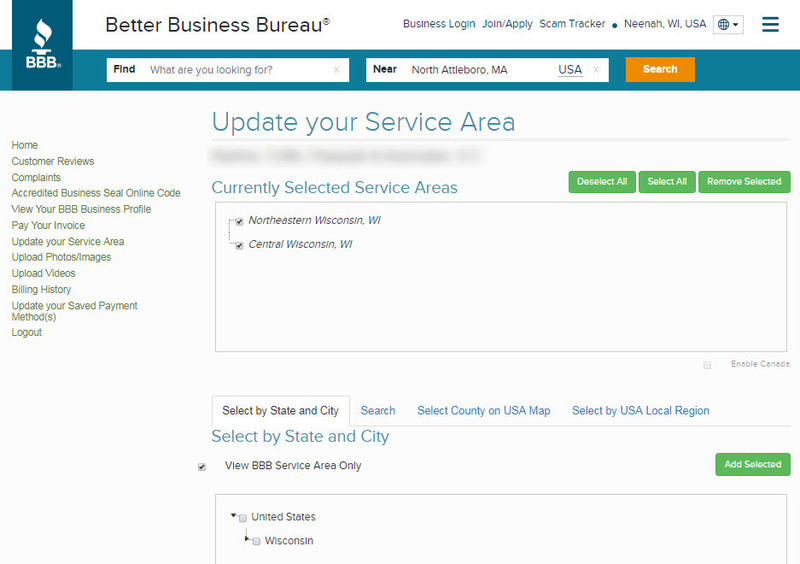 Did I miss any other sites where you can specify a service area? Should You Bother Using That New Google My Business Feature?